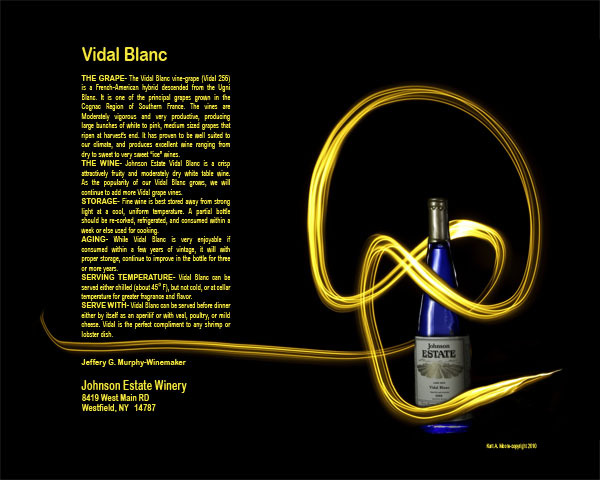 Vidal Blanc is a self assigned project consisting of a photograph that is composed of five images of a bottle of Johnson Estate Winery’s Vidal Blanc wine. Johnson Estate is the oldest estate winery in New York State and is located here in Westfield N.Y. on the Lake Erie plateau. The light source for three of the five images was a single on camera type flash unit that was fired multiple times to build up the exposure. The light streak was made with the help of a LCD flashlight with a number of individual bulbs in it. 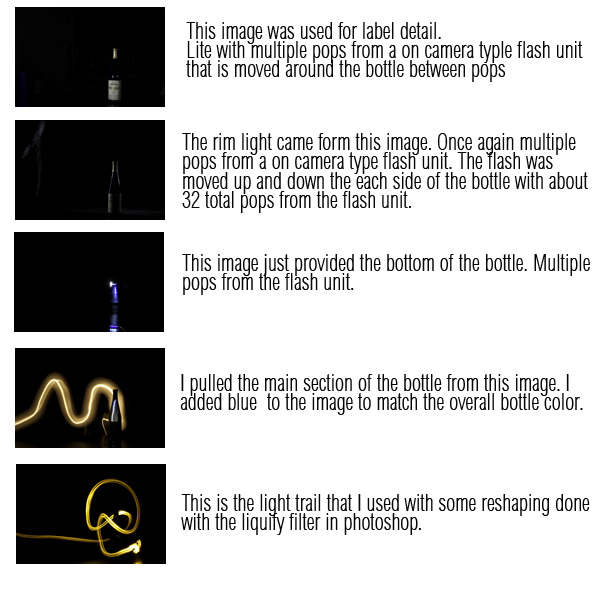 The image that provided the main body of the bottle was illuminated with the flashlight during a failed attempt at making the light streak. Once I had the five separate image I took them into photoshop CS4 to combine them, color correct and clean up the the light streak as well as adding the text which was taken from the wine bottle label.